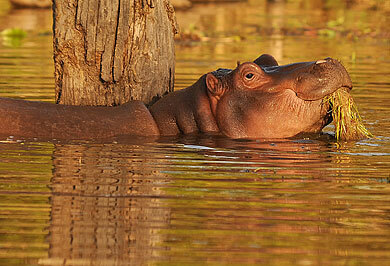 Far and Wild Safaris is a guided wildlife photographic safaris and tours expert. 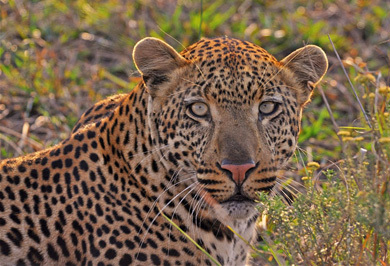 We operate guided safaris throughout South Africa, although primarily to the game parks in the north eastern sector of the country, from KwaZulu-Natal north. 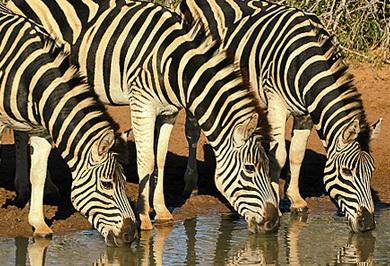 As all our guided tours and safaris are exclusive to the enquiring party, the itineraries of all guided safaris offered, may be amended to suite yourselves. 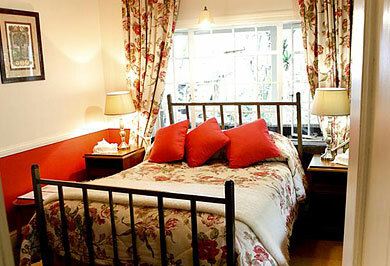 Shortening or extending the stay at the various venues, changing the route and such. 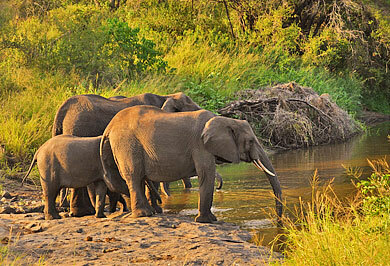 The following itineraries are practical examples with due cognise to timings and distances. 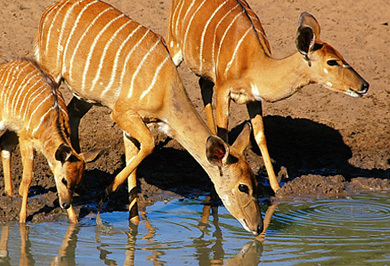 Should you be travelling on to Cape Town after your visit to the Kruger National Park, or arriving from Cape Town before the Safari, there are direct flights to and from Cape Town daily from both Skukuza and the Kruger Mpumalanga International Airport outside Nelspruit. 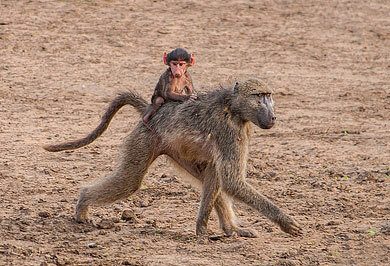 We are able to commence or terminate the guided safaris at either of these airports, rather than Johannesburg. 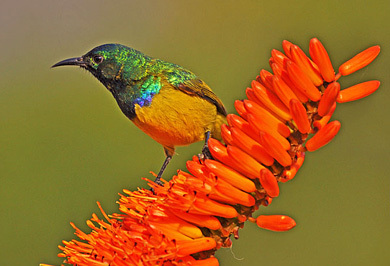 For those guests wanting to include a visit to sites of the Anglo-Zulu or Anglo-Boer Wars along with their wildlife safari, the itinerary can easily be amended to include the particular areas you would be interested in. 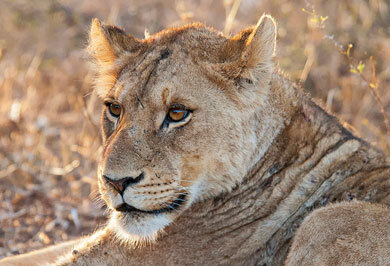 Below is more information on the various preferred venues we use on our safaris. 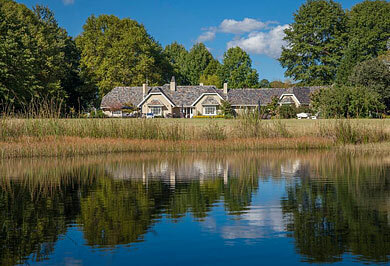 This list does not include the private lodge venues we prefer. These comprise the majority of the private lodges in the Sabi Sand Game Reserve - possibly the finest reserve in the Wworld for guests to be able to readily see all of the high profile animals in a few days. 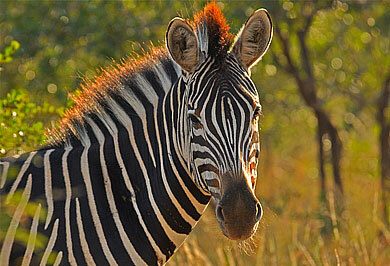 We also like the Timbavati Game Reserve, both of these in the Kruger National Park area. 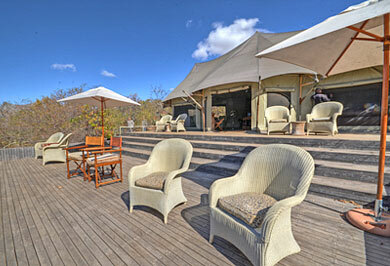 In Zululand, Phinda Private Game Reserve, is in our opinion the finest venue in that area, with exceptional game viewing. 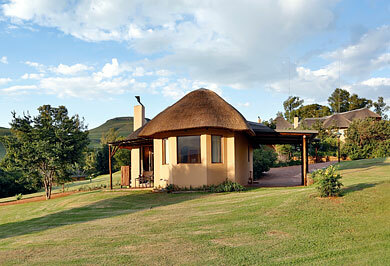 This followed by Thanda Game Reserve and then the various lodges in the Zululand Rhino Reserve. 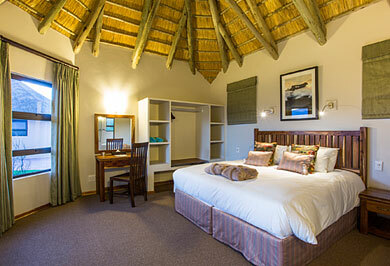 Another excellent game reserve which has easy access for those wanting to travel between Johannesburg and Durban, is located close to Ladysmith (and the Battlefields) - the Nambiti Private Game Reserve, which is also malaria free. 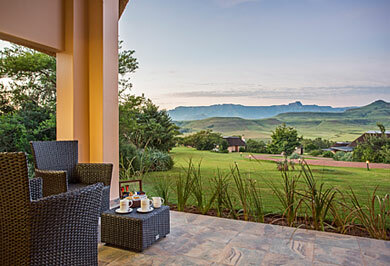 In the lee of the Ghost Mountain in Mkuze, Northern KwaZulu-Natal is a favoured hotel of Far and Wild Safaris, the Ghost Mountain Inn - a perfect setting to experience the allure of Africa in stylish, affordable comfort. 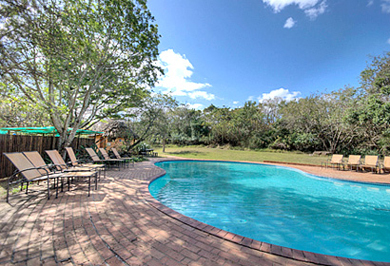 Situated in an ideal location from which to explore the numerous wildlife and coastal reserves in Zululand, Maputaland and on the Elephant Coast. An excellent venue too, at which to relax, beautiful gardens, lovely swimming pool and an excellent spa, all in a tranquil environment. 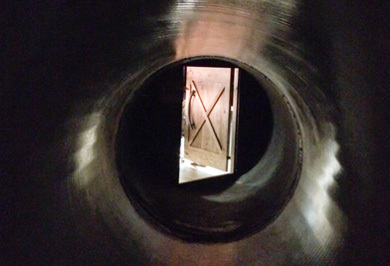 There are a variety of room types. 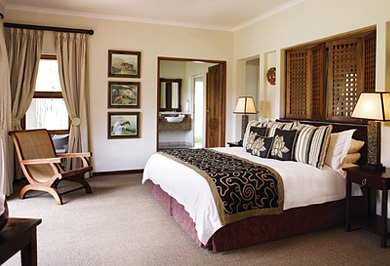 Far and Wild Safaris generally book their standard rooms. 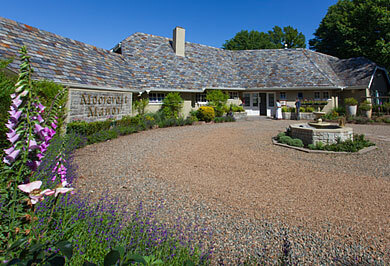 Comfortable, spacious and with private bathrooms en suite, a tea station, bar fridge and patio. 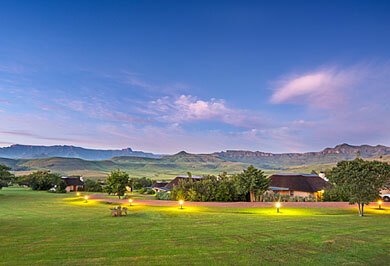 Hannah Game Lodge lies amongst the gently rolling hills above the Northern Drakensberg Escarpment. 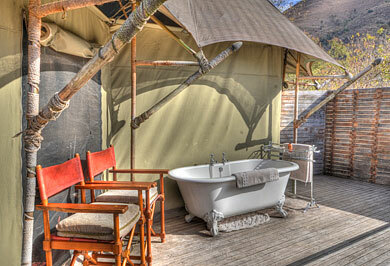 This private game reserve of approx. 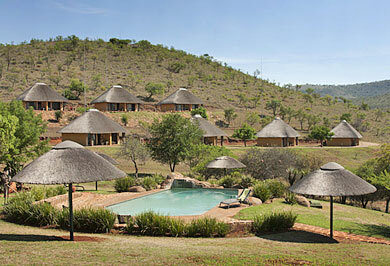 8000 hectares is malaria free, set in unspoiled South African bushveld with a variety of plains game. 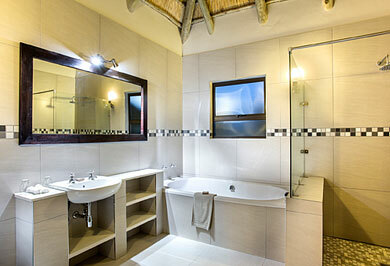 Hannah Game Lodge offers thatched chalets with private bathrooms en-suite. 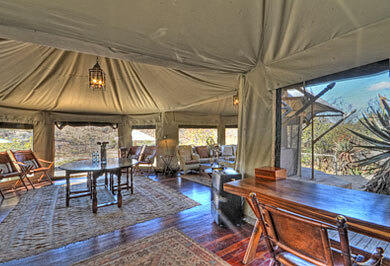 The private verandas allow for panoramic views over this private game reserve. 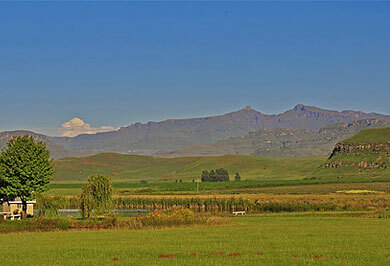 A convenient stop over for Far and Wild Safaris guided tours visiting the Drakensberg Escarpment. 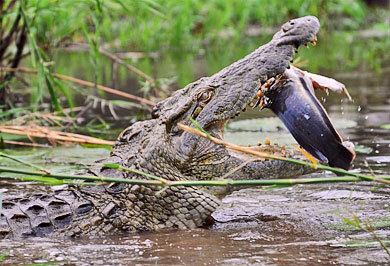 The Hluhluwe uMfolozi Park is a Provincial Game Reserve, which lies in the heart of the Zulu Kingdom. 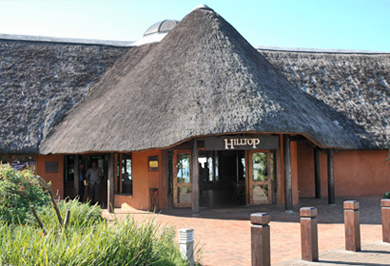 Once the exclusive royal hunting ground of King Shaka, (where the first conservation laws were put in place), Hluhluwe and iMfolozi Game Reserves were formally proclaimed as game reserves in 1895, now along with the Corridor Reserve, which was proclaimed in 1989, it is known as the Hluhluwe iMfolozi Park, some 96 000 ha in extent, with an immense diversity of fauna and flora. 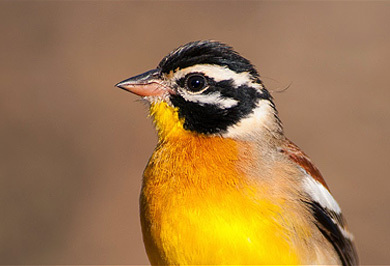 The Hluhluwe section in the north, is characterised by grassland hills, diverse terrain and vegetation and is exceptional for its rich variety of bird and animal life. 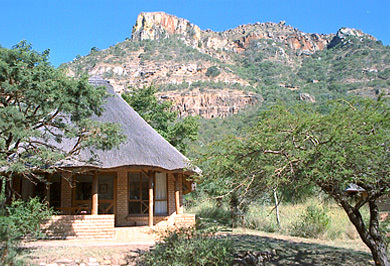 Hilltop Camp in the northern Hluhluwe sector of the Hluhluwe Imfolozi Park was built on the summit of a forested hill with views of the surrounding rolling topography of Zululand. 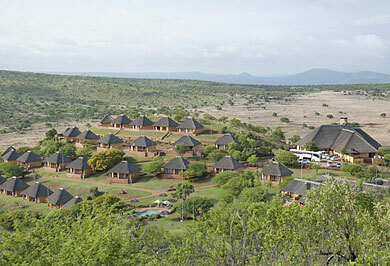 The camp, the largest in the Hluhluwe Umfolozi Park, was extensively rebuilt and enlarged during the early nineties. 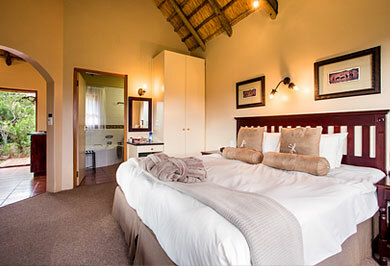 The original twin bedded rondavels (rest huts) were retained, these have communal bathroom and kitchen facilities remote from the rooms. 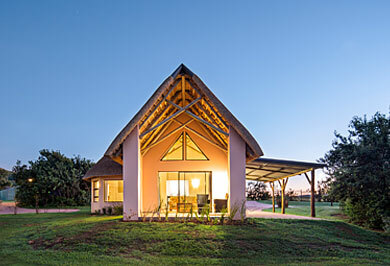 A series of 2 bed self-catering and non self-catering chalets were constructed along with a number of 2 bed-roomed self-catering 4 bed chalets. 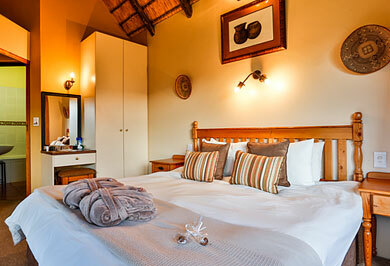 The 2 and 4 bed chalets are normally what Far and Wild Safaris offer our guests on safari. The home of the early park warden's is now also available to the public being a 3 bed-roomed house with an annexe, able to accommodate 8. 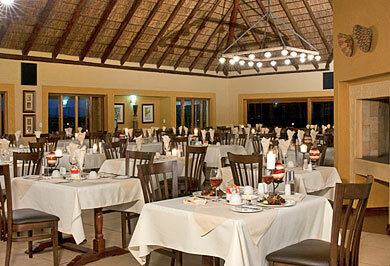 Facilities at Hilltop Camp include an a la carte restaurant, which is open for breakfast, teas, lunch and dinner. 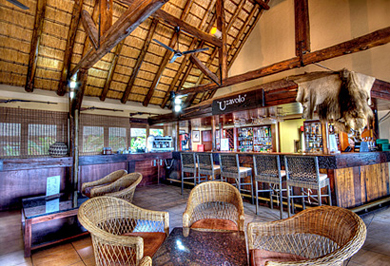 The main building has the reception, a bar and lounge, decorated with photographs and memorabilia depicting the history of Hilltop Camp and the Hluhluwe Game Reserve, as well as a gift shop and store, selling curios, basic foodstuffs and a variety of drinks such as soft drinks, bottled water, beers and spirits, this is open from 08:00 to 19:00 daily. 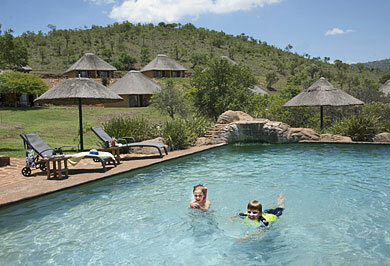 A large swimming pool for the use of camp residents is situated within the confines of the camp. 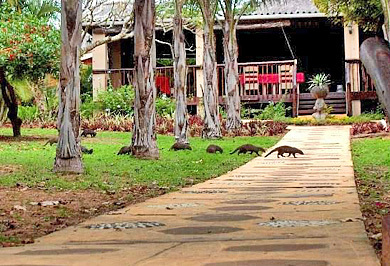 A self-guided trail through some remnant indigenous forest is available to guests at Hilltop Camp, and commences at the entrance to the swimming pool. Hilltop Camp is fenced, so it is relatively safe to move about within the confines of the camp, but it is advised to have a torch (flashlight) with one after dark. There is 24 hour main-line electricity with a back-up generator. 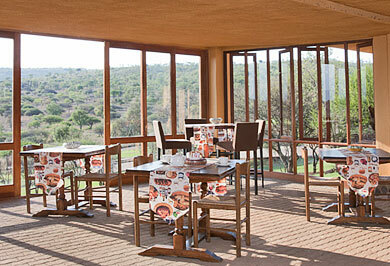 The Mpunyane Restaurant at Hilltop Camp offers a full English / buffet breakfast. 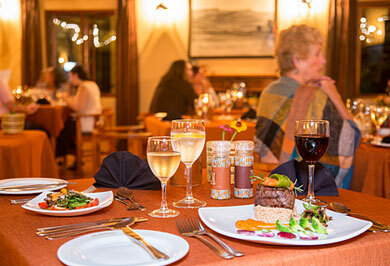 Lunches from Monday to Saturday are a la carte and on Sundays a hot and cold buffet is on offer. 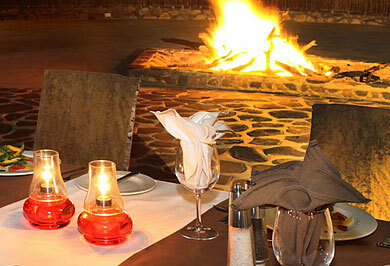 Dinners are hot and cold buffet with a traditional braai (barbeque) on Friday evenings (weather permitting). 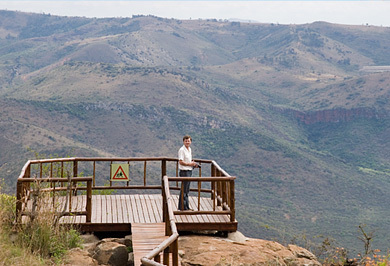 This game reserve, from the heights of the Ngotshe Mountains descends a thousand meters into a deep valley, carved over the eons by the Phongolo River, revealing some of the world's oldest rock formations. 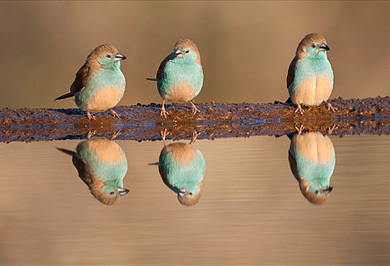 Situated in the rugged, mountainous thornveld of northern KwaZulu-Natal, the reserve's many habitats, host a diverse array of wildlife species. 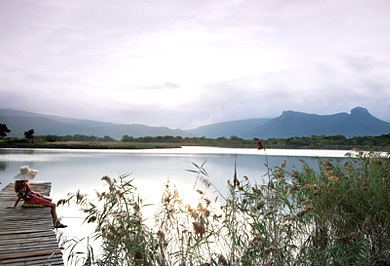 Its scenic beauty aside, Ithala's most characteristic feature is perhaps its astonishing geological diversity. 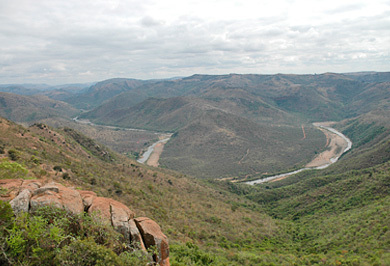 With a topographic profile varying from 400m above sea level in the north to 1 450m near Louwsberg in the south, Ithala's terrain extends from lowveld to densely vegetated riparian valleys, to high-lying grassland plateaus, ridges and cliff faces. Itala has excellent auto trails which facilitate visitor's game viewing, the wildlife here includes rhino, elephant, leopard, giraffe, zebra, eland and a fairly large variety of other antelope species. 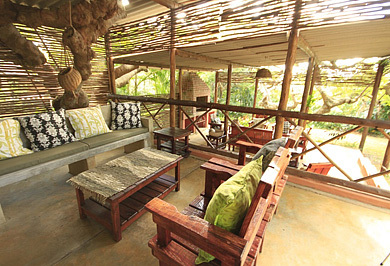 Ntshondwe Camp's main lodge, houses the reception, a restaurant and take-away, a bar and a deck overlooking a water-hole. There is a swimming pool and curio shop that also stocks some food and drink essentials. 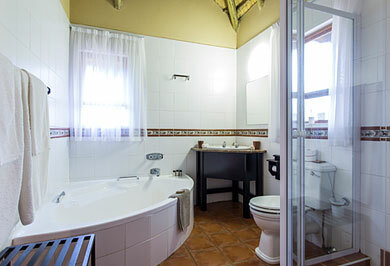 There is a variety of 2 bed, 4 bed and 6 bed chalets, most with self-catering facilities and private bathrooms en suite. 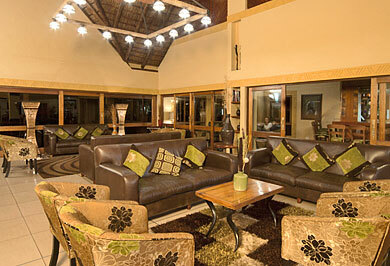 There are a number of 2 bed non-self-catering chalets utilised for the conference facility in the camp. 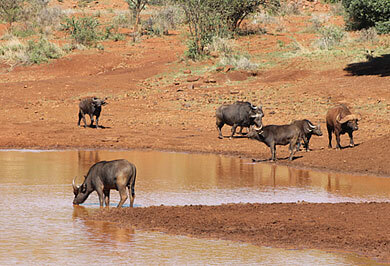 Far and Wild Safaris makes use of any of these available units on our guided safaris. 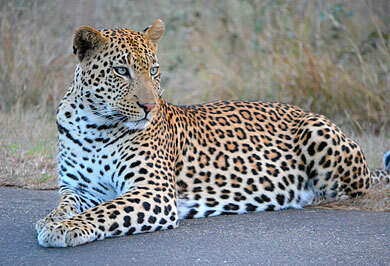 The World renowned Kruger National Park offers guests a wildlife experience that ranks amongst the best in Africa. 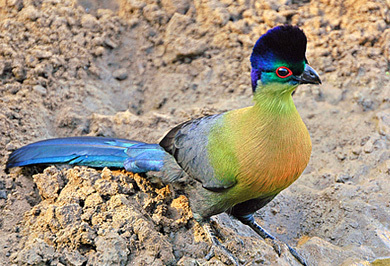 Established in 1898 to protect the wildlife of the South African lowveld, this national park of nearly 2 million hectares is a South African national park. 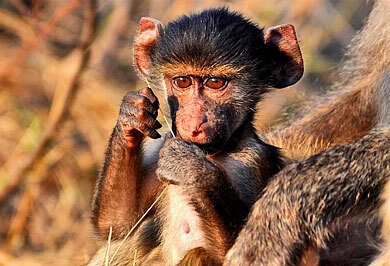 Kruger National Park is unrivalled in the diversity of its wildlife. It has been a world leader in advanced environmental management techniques and policies. 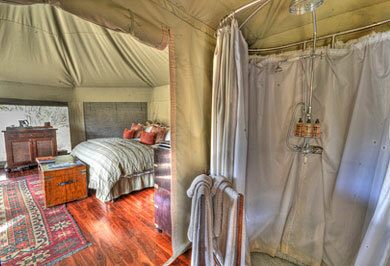 There are numerous public and now private camps, within the Kruger Park. Most of the public camps are fenced and generally have a variety of self-catering chalets in a range of guises. 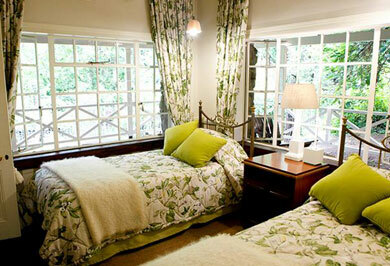 Normally, from 2 bed bungalows through to larger guest houses. Most camps have a restaurant and take-away, along with a curio shop that also stock basic food and drink. Most have 220V Eskom electricity power supply. 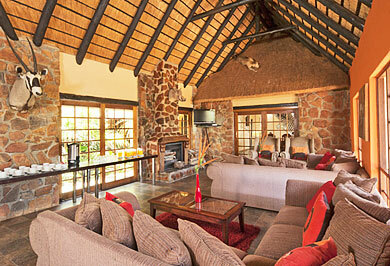 There are a number of private luxury lodges on concessions inside the Kruger National Park. 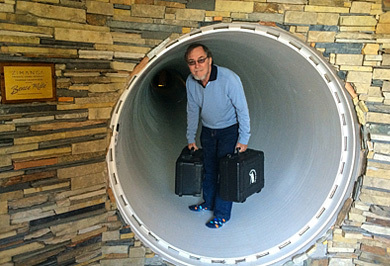 For the more discerning client these come highly recommended. 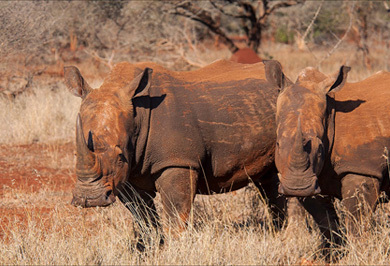 They all have their own traversing area, closed to the general public and in exceptional cases, the guided open vehicle game viewing vehicles are allowed off the road network and into the bush. 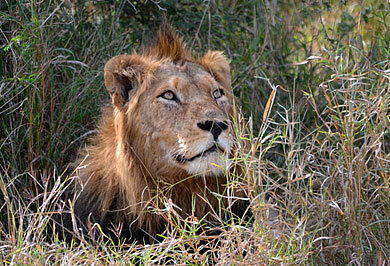 This to secure a closer, clear sighting of any of the high profile animals such as lion or leopard. 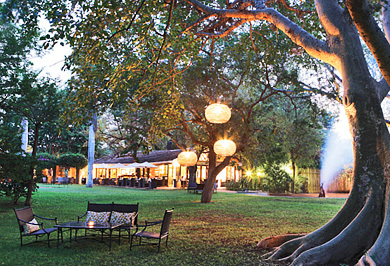 The private venues as well as the private lodges in the adjoining Sabi Sand and Timbavati Game Reserves are certainly worth considering as an alternative, or in addition to a visit to Kruger. 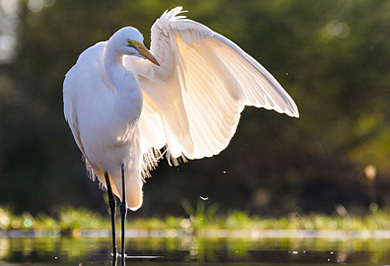 Truly the flagship of the South African National Parks, Kruger is home to an impressive number of species: 336 trees, 49 fish, 34 amphibians, 114 reptiles, 507 birds and 147 mammals. Man's historic involvement with this lowveld environment over many centuries, is evident in the Kruger Park - from bushman (San) rock paintings, to majestic archaeological sites such as Masorini and Thulamela These treasures represent the cultures, persons and events that played a role in the history of the Kruger National Park and are conserved along with the park's natural assets. 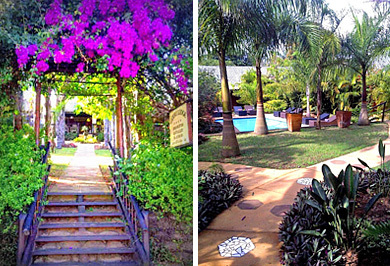 Lidiko Lodge, in the village of St Lucia, offers comfortable accommodation in 16 well-appointed garden units on a bed & breakfast basis. The charming thatched roof colonial building, which today houses the reception area, guest lounge and art gallery, was one of the first residences to be built in St.Lucia in the late 1930's. The two family / triple rooms are also part of the original building. Free Wi-Fi is available in the communal areas. 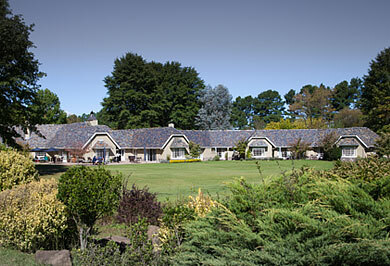 The main building leads to the tropical pool area and the rooms. 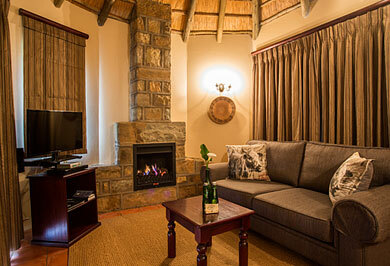 The park like gardens and outdoor lounge of the lodge is ideal for bird watching, conversation or just to relax. 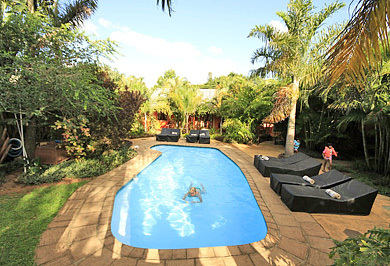 The pool is ideal to cool off or to do some sun bathing on the loungers. Lidiko Lodge is centrally situated in St Lucia and within 5 minutes walking distance from all the restaurants, craft market and shops. 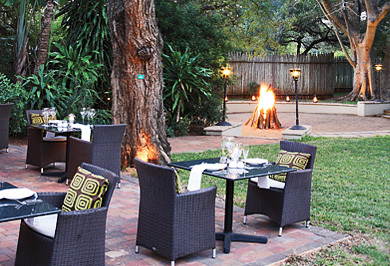 Far and Wild Safaris regards Lidiko Lodge as an ideal venue from which to visit the surrounding wetlands, big 5 game parks as well as pristine beaches. 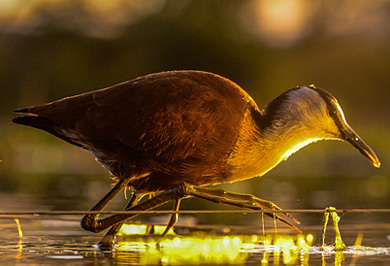 Far and Wild Safaris offers a cruise on the estuary of St Lucia Lake, game drives in the Eastern Shores and in season turtle tours on the beaches from Cape Vidal. Other excursions in the area are a visit to the Crocodile Centre and for those keen, deep sea boat excursions are offered to see dolphin and whales in season. 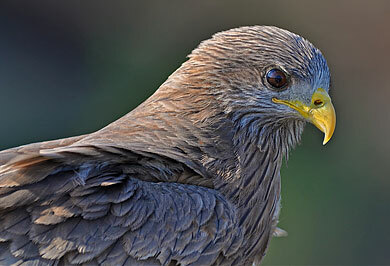 Mkhuze Game Reserve is renowned for its excellent bird viewing, with more than 420 bird species on record. 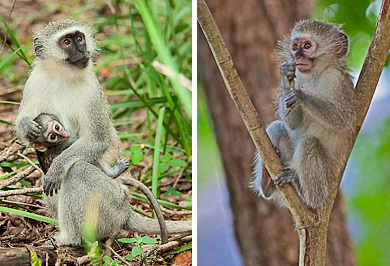 The Mkuze Game Reserve has a broad diversity of natural habitats, from the eastern slopes of the Lebombo Mountains along its western boundary, to large areas of acacia savannah, vast swamp lands, a variety of woodlands and riparian forest. A rare type of sand forest also occurs in the reserve, stretching from St Lucia Wetland Park in the south. 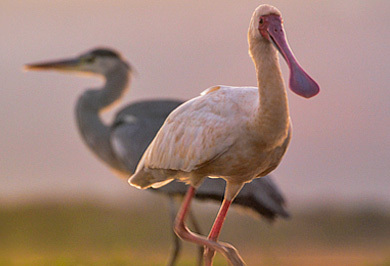 Two large pans, Nhlonhlela and Nsumo, lie in the north and east respectively, home to communities of hippo, crocodile, and an incredible variety of waterbirds. 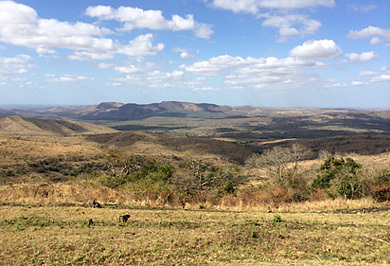 Situated in northern Zululand, this 40 000 hectare reserve was proclaimed a protected area in 1912. 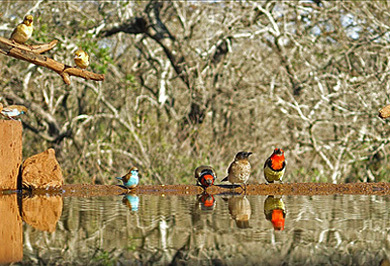 The Mkhuze Game Reserve constitutes the north western spur of the Greater St Lucia Wetland Park,( iSimangaliso Wetland Park) a recently proclaimed World Heritage Site. 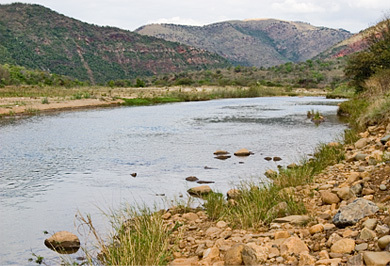 The Mkhuze River curves along the reserve's northern and eastern boundaries, with a Sycamore fig tree forest along its banks. 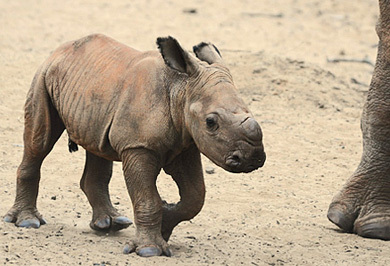 Animals to be found in the reserve include black and white rhinoceros, lion, elephant, giraffe, leopard, buffalo, wild dog, nyala, blue wildebeest, warthog, impala, kudu and other smaller antelope. 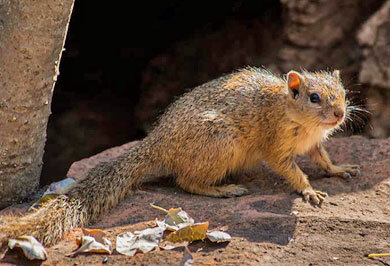 Rare species occurring are cheetah, hyena and the diminutive suni antelope. 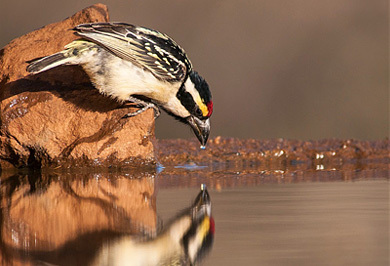 The game viewing hides in Mkuze, offer excellent photographic opportunities, particularly in the drier winters when there is little surface water about. 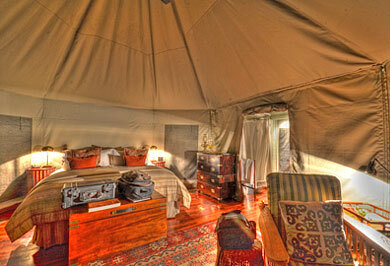 Mantuma Camp has chalet and tented accommodation, with a rather basic take-away which closes early. 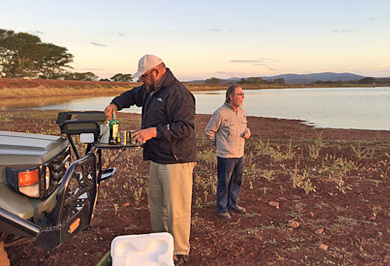 Far and Wild Safaris prefers utilising the nearby Ghost Mountain Inn for our guests on our guided safaris, and to visit Mkhuze Game Reserve from that hotel as a base. The Montusi Mountain Lodge offers super hospitality in the tranquillity of one of the most beautiful settings in southern Africa. 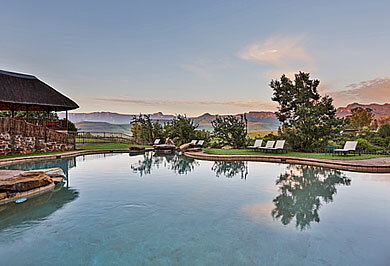 Situated close to the KwaZulu-Natal northern Drakensberg, halfway between Johannesburg and Durban, Montusi Mountain Lodge is the only reasonably upmarket destination in the area with a full and uninterrupted view of the Drakensberg's most famous escarpment, the Amphitheatre. 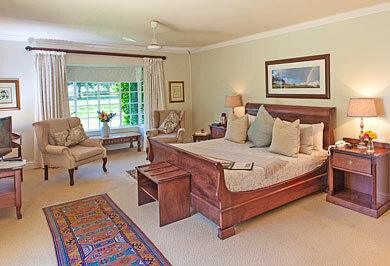 Guests enjoy this spectacular panorama from the comfort of their private individual garden suites. 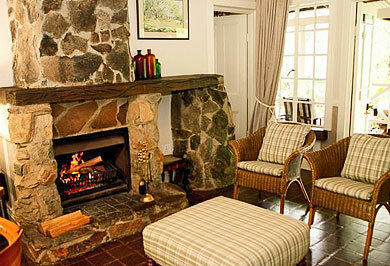 Various sized units with private bathrooms en suite and cosy fireplaces for the winters. 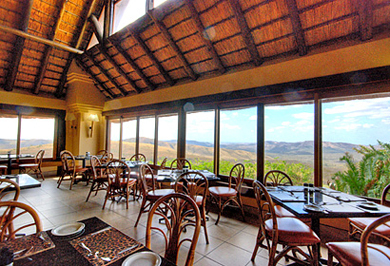 Montusi Mountain Lodge has an excellent restaurant and is a preferred venue of Far and Wild Safaris for our guests visiting this area of the Ukhahlamba Drakensberg. 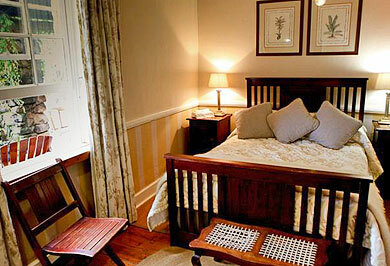 Moorcroft Manor Guest House is located in the foothills of the southern Drakensberg Mountains and an ideal base for exploring the area. 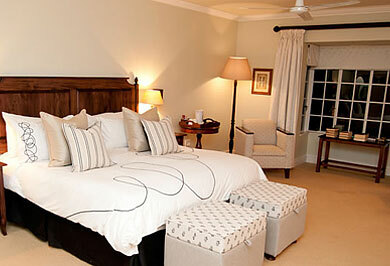 The accommodation at Moorcroft Manor comprises elegantly furnished rooms, all with bathrooms en-suite. 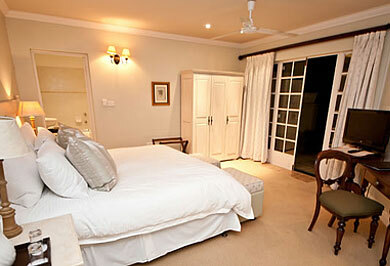 Choose from standard double rooms, a junior suite or the two executive suites. 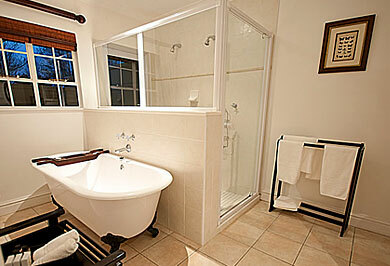 Their rooms and bathrooms have under-floor heating for that winter chill. 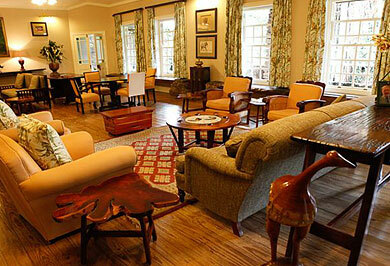 The Montusi rooms have wireless internet access, DSTV, ceiling fan, hair dryer, bath robes and a tea / coffee station. 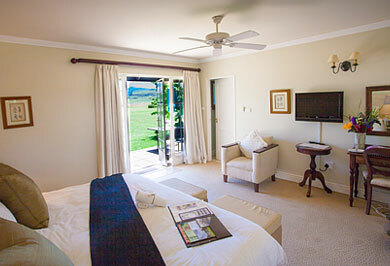 Each room has its own adjoining private patio leading onto the lawns and the rock pool, with an uninterrupted view towards Hodgsons Peaks and the sometimes snow-covered mountain tops of the Lesotho Kingdom. The food they serve is always freshly prepared, and wherever possible they use locally-produced ingredients and herbs from their garden. 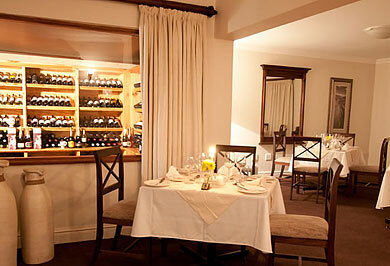 Their menu offers an interesting variety of, starters, main courses and desserts. They cater for vegetarians and are happy to comply with dietary requirements. Here you may enjoy your meal in the dining room with a view of the wine cellar, the terrace or the spectacular Drakensberg. Stretching over 15, 000 hectares, Nkomazi is a place where guests can experience tranquillity, witness the free-roaming wildlife and admire the landscapes of scenic beauty under the African sky. 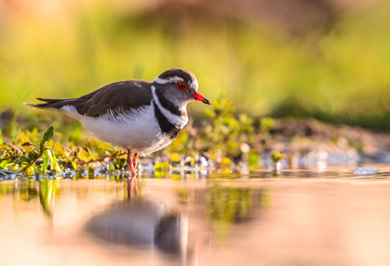 The reserve represents an extended variety of Africa’s habitats with an ability to support both high and lowveld game species on the high-lying grassland and the low-lying bushveld areas, giving guests a broad interesting species tally. 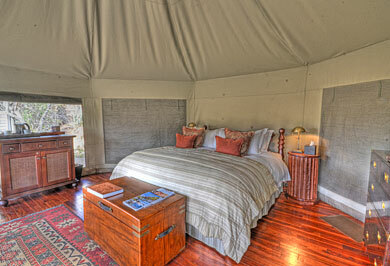 Nkomazi boasts luxury tents at its Komati Tented Lodge. 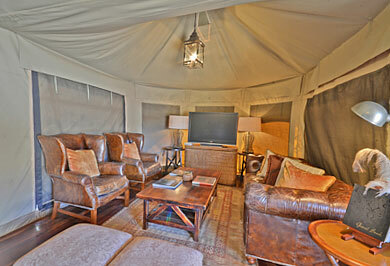 All tents have private bathrooms en suite and are furnished with luxury campaign style furniture, creating an “Out of Africa Safari” ambiance with all the added comforts and luxuries of 5-star accommodation. 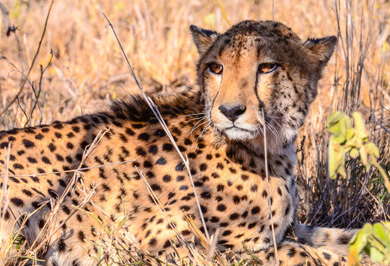 Situated on the banks of the Komati River, surrounded by towering mountains, broad river valleys and impressive grasslands, Nkomazi offers an excellent guided wildlife safari experience. 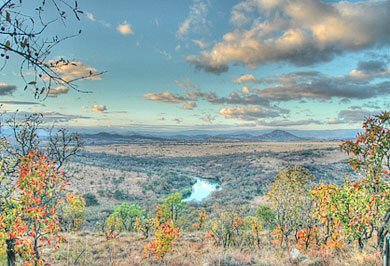 Nkomazi is located in an interesting ecological area, having the oldest and largest meteorite impact deposit on Earth. 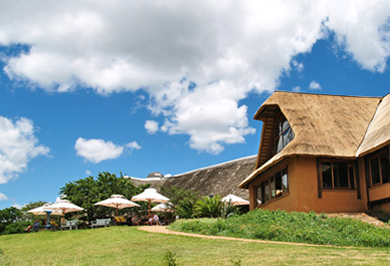 Located within the Mlilwane Wildlife Sanctuary, Reilly's Rock Hilltop Lodge is surrounded by the Swaziland Royal Botanical Gardens, featuring aloes, threatened and endangered antelope and abundant birdlife. 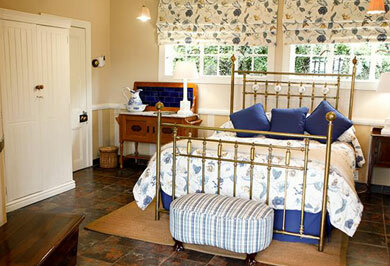 Reilly's Rock is steeped in history and features a lodge offering bedrooms in the original Reilly's homestead, now with bathrooms en-suite. 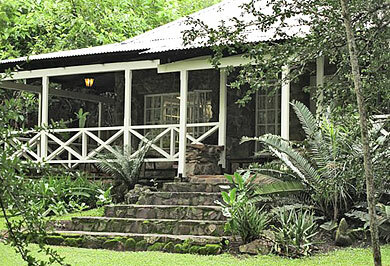 Reilly's Rock is well known for its botanical gardens, resident bush babies and birding. 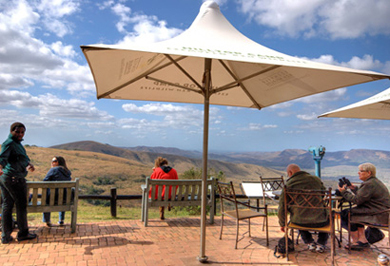 Wander the hillside trails, view the game which includes Blue duiker and Suni, or relax on the terraced lawns and take in the spectacular views. 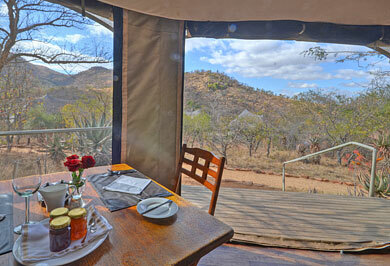 Begin the day with a pre-adventure breakfast on the sun deck before hiking or through the Mlilwane Game Reserve. 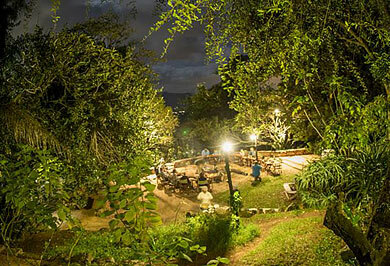 In the evening, sundowners around the campfire, followed by a dinner prepared and served by the lodge's friendly Swazi hostesses, don't forget to look out for their resident bushbabies. 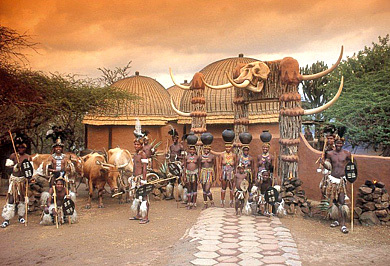 Shakaland is a living museum of the life and times of the Zulu monarch, Shaka . 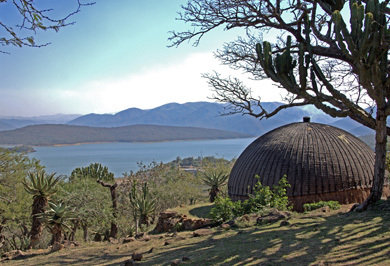 Guests re-live the excitement and romance of the days of Shaka, King of the Zulus, in this authentic re-creation of Shaka's Great Kraal overlooking the Phobane Lake. Experience the sight of assegaai-wielding warriors, share the fascinating insights of the Sangomas and witness traditional customs such as tribal dancing, spear making and the beer-drinking ceremonies. 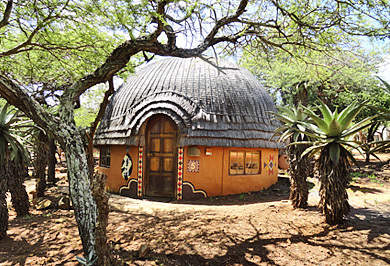 This cultural village is a unique resort built amid thorn trees and aloes, comprising a traditional Zulu "Umuzi" or homestead, where the Zulu people reside. 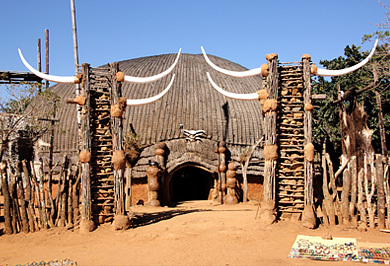 This unique village was built and developed as a film set, for the movies King Shaka and John Ross. 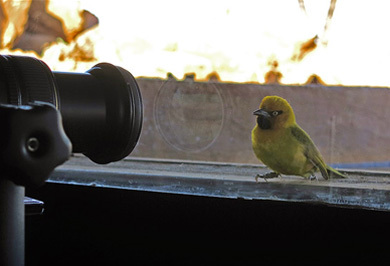 Zimanga is the first game reserve in Africa specifically structured to satisfy the needs of wildlife photographic enthusiasts as well as safari clients who have a deeper appreciation for the bushveld. 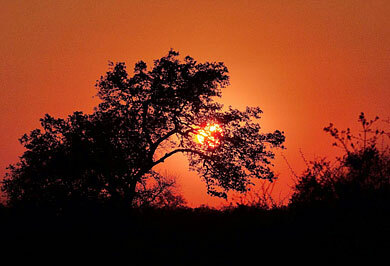 Zimanga Game Reserve is approx 6000 hectares of bushveld, fever tree forests and rolling hills. 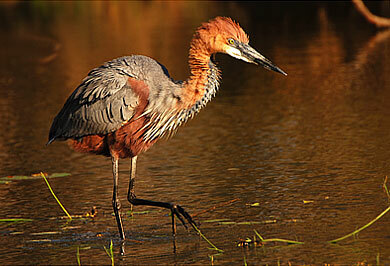 Zimanga is bisected by the Mkuze River and is home to a variety of animals and birds. 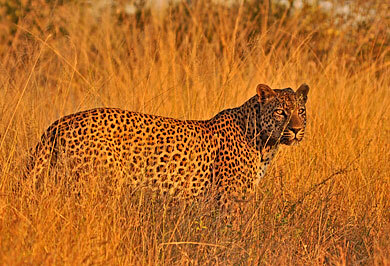 From leopard to wild dog, elephant and cheetah, nearly every sought-after sighting can be witnessed at Zimanga. 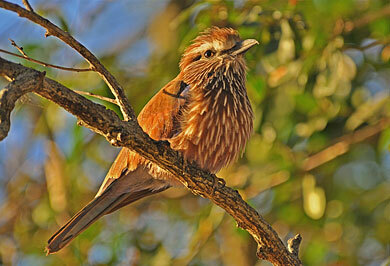 For the birding enthusiast, there are over 400 species recorded on the reserve. 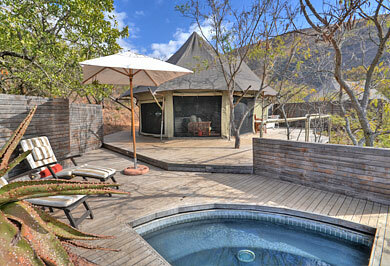 Whilst the game drives at Zimanga are good, the truly memorable experience at Zimanga is their hide sessions. 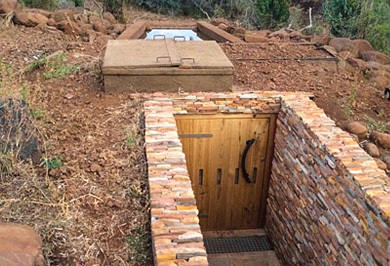 Three of the hides have been designed and built by the owners of Zimanga in association with Bence Mate, who is not only a former winner of the coveted BBC wildlife photographer of the year award in 2010, but a world authority in hide design, construction and photography. 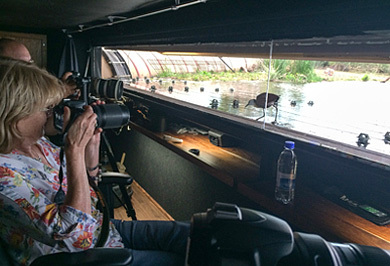 The photographers in these hides are invisible to their subjects, photographing through specially imported one-way glass. Photographers are seated on comfortable executive-style chairs, which glide effortlessly and quietly across the wood laminate flooring. 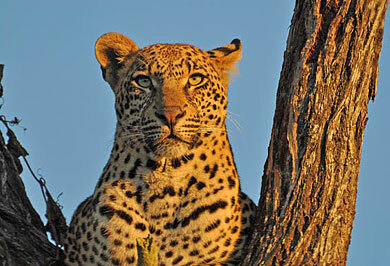 A solar-powered air conditioning unit situated in the ceiling of the hide controls the temperature and humidity within. These two hides can accommodate a maximum of four persons and are soundproofed with carpeting on the walls. The carpets themselves are inlaid with a fine silver thread to eliminate mildew growth in such close proximity to a water source. These hides allow photographers a non-intrusive method of wildlife photography and although the subjects are free-roaming, consequently no sighting is guaranteed, the hides tip the balance heavily in favour of the photographer to get that amazing picture. 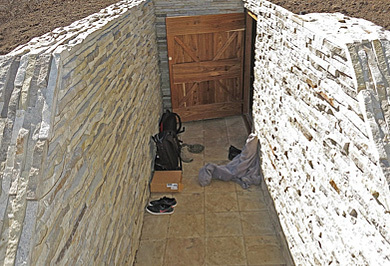 A large mammal hide : For photographing animals such as giraffe, buffalo, rhino and elephant from ground level as they drink from and / or occupy a waterhole. A vulture restaurant : Situated in an area of high vulture density, this hide should attract numerous birds, when carrion is present. 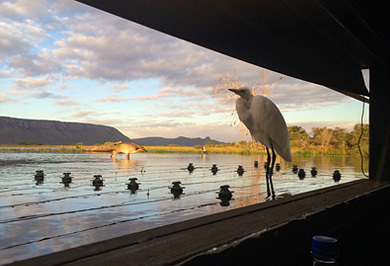 The large Lagoon Hide: Positioned on a spur, surrounded by water, in the largest of Zimanga's three dams. This hide is similar to Bence's Theatre Hide in Hungary, attracting animals like hippo and crocodile, as well as a huge variety of water birds and raptors. 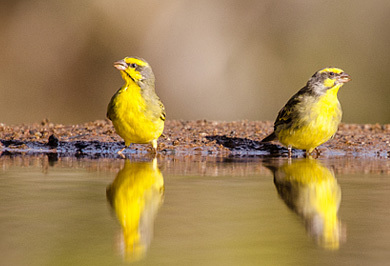 Bhejane and uMkombe Hides: These two hides are Birdbath hides, one for morning light and the other situated to maximise afternoon light conditions. 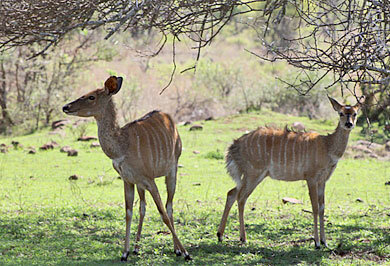 Zimanga has a diverse range of wildlife, including four of the Big Five, as well as cheetah and wild dogs. 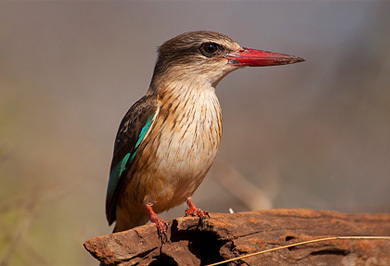 The reserve has plenty to offer in terms of unbelievable sightings, from the smallest shrew to the largest of all African mammals, elephant, and then over 400 recorded bird species. 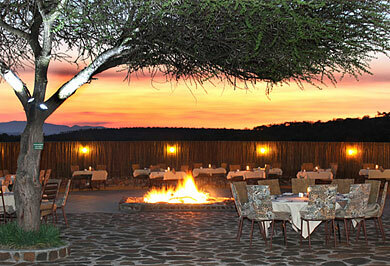 A Far and Wild Safaris "Highly Recommended" venue. For starters, Wildlife photographers of course. One just has to have a look at some of the photos from this reserve and its hides, to see the quality of the images secured by advanced wildlife photographers. 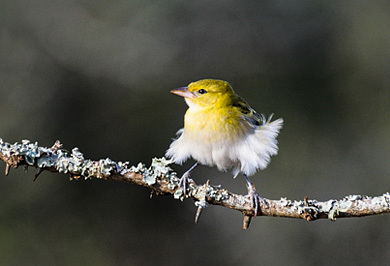 The ease with which one is able to photograph from the hides, offers almost any person with a camera, the opportunity to get close to small birds in the Birdbath hides and the larger water birds from the Lagoon hide. Something that is normally very difficult. 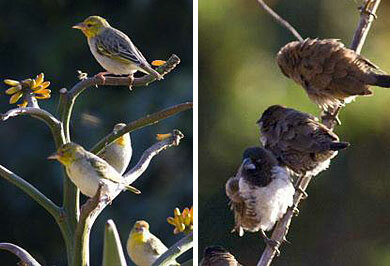 There are just so many different bird species that visit that one cannot but tick that elusive lifer, a twin-spot? 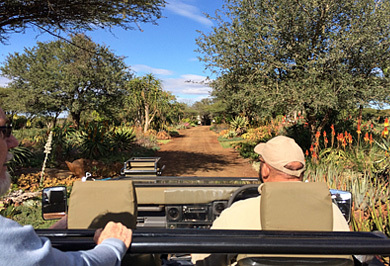 – those, who have a deep appreciation for the bushveld, and who prefer an unhurried, exclusive experience, whether in the hides or on the game drives - people who like to spend time watching a particular animal for the sheer joy of it.